Organisation : Australian Muslim Women's Centre for Human Rights. The Groupwork Facilitator has primary responsibility for delivering a range of community capacity building programs developed by the AMWCHR. This role is required to promote community development programs, facilitate community capacity building and deliver community education initiatives that support Muslim communities to strengthen women’s capacity and active participation in the broader Australian community. The role will also contribute to the continuous development of the Community Programs portfolio and AMWCHR’s capacity to develop and deliver direct services to Muslim communities that are of the highest professional standard. The Groupwork Facilitator is a confident and highly skilled facilitator, has the drive and commitment to grow the impact of the program, and thrives working in a highly independent environment. The role requires regular travel as program delivery occurs in a range of locations throughout Victoria. An understanding of Islamic religious diversity, cultures, migration and settlement issues. Excellent interpersonal skills and ability to work as part of a highly culturally diverse team. Organisation Name : Australian Muslim Women's Centre for Human Rights. 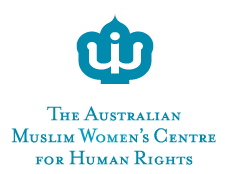 The Australian Muslim Women’s Centre for Human Rights (AMWCHR) is an organisation of Muslim women working to advance the rights and status of Muslim women in Australia. We are a non-religious organisation reflecting the sectarian, cultural and linguistic diversity within the Muslim community. Working with individuals, the community, and government to advocate for equality within the Australian context. We aim to inspire positive action by others and aspire to continuously enhance the quality, impact and effectiveness of our work. Please quote in application: Groupwork Facilitator via Pro Bono Australia.